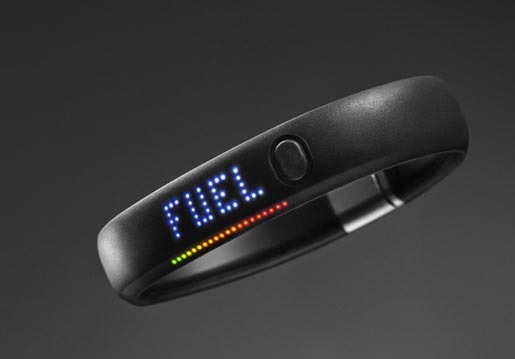 Nike Fuelband, winner of the Cyber Grand Prix at Cannes International Festival of Creativity, along with Curators of Sweden, is a Nike+ wrist strap device that tracks your daily activity using a common, universal metric called Fuel. 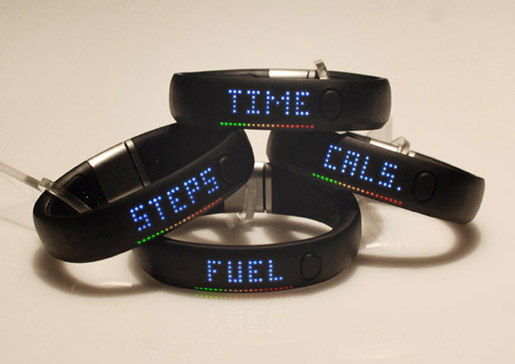 The user experience was designed to ensure that active users are easily able to set goals and get from red to green. 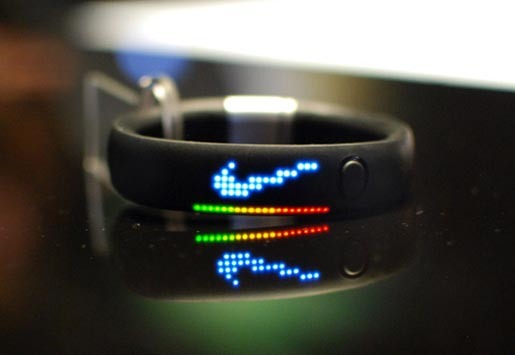 If you meet your goal, animations celebrate your performance. Hit a streak and Fuelie shows up to cheer you on. 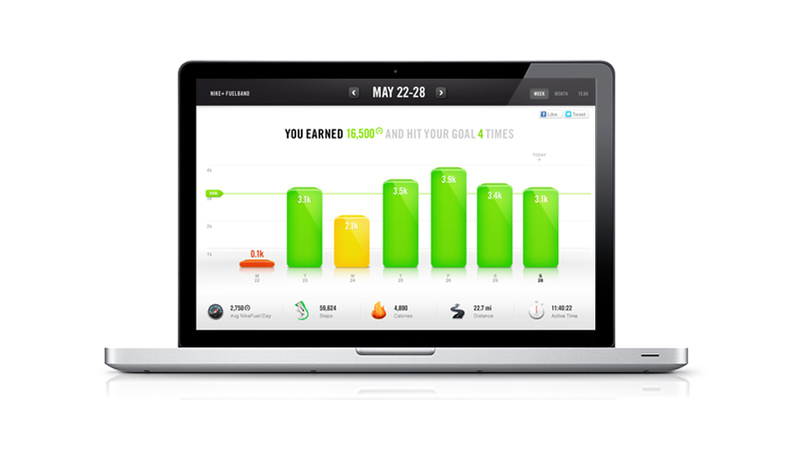 Data visualisations show where you were most active daily, weekly, monthly, and beyond. Bluetooth synch technology makes it possible to wirelessly sync the Fuel data to a range of platforms. 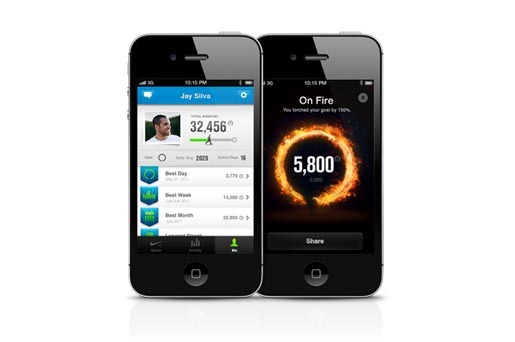 “NikeFuel levels the playing field, and fits into your life”. 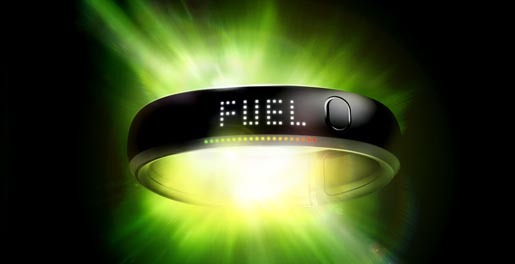 The Fuelband project was developed at R/GA New York, by senior producer Alan Donnelly, executive producer Avery Holden, creative director/visual designer Cesar Marchetti, technical team leader Daniel Katz, senior visual designer Ellen Pai, technology project leader Fernando Mazzon, associate creative director/interaction designer Gaurabh Mathure, senior producer Guy Helson, VP production design, mobile and social platforms Ian Spalter, managing director/producer Jennifer Allen, associate creative director/copywriter Keith Byrne, creative director/digital studio director Kirill Yeretsky, quality assurance lead Leslie Chong, senior producer Michael Klimekewicz, technology team lead/solutions architect Niall Mccormack, VP technology and strategy Nick Coronges, art director Ray Sison, senior software engineer/solutions architect Robert Carlsen, senior technical director Sune Kaae, executive creative director/interaction designer Tara Greer. The Counts commercial was developed at Wieden+Kennedy, Portland, by executive creative directors Mark Fitzloff and Susan Hoffman, creative directors Dan Hon, Alberto Ponte and Ryan O’Rourke, copywriter Edward Harrison, copywriter/art director Mike Warzin, agency executive producer Ben Grylewicz, producers Felicia Glover and Jan Dennis. Editor was Angus Wall at Rock Paper Scissors with assistant editor Austyn Daines, executive producer Carol Lynn Weaver and producer Justin Kumpata. Visual effects were produced at A52 by smoke artist Paul Yacono, VFX producer Jamie McBriety. Titles/graphics were produced at Elastic by Ekin Akalin. Sound was mixed at Lime Studios by Loren Silber. Music is “I See You Baby”, by Groove Armada.